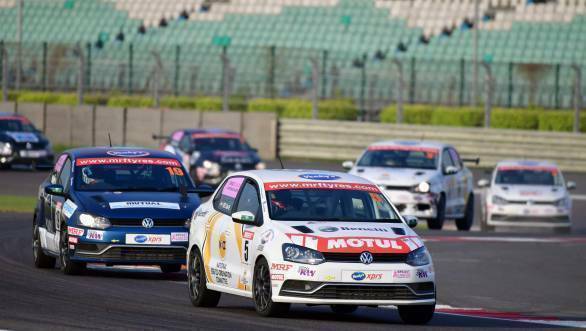 The final round of the 2018 Volkswagen Ameo Cup, held at the Buddh International Circuit in Greater Noida, proved to be an exciting end to what has been an already thrilling season. The championship battle ended with Dhruv Mohite from Kolhapur winning the title. Shubhomoy Ball won the Ameo Cup's Junior Category. 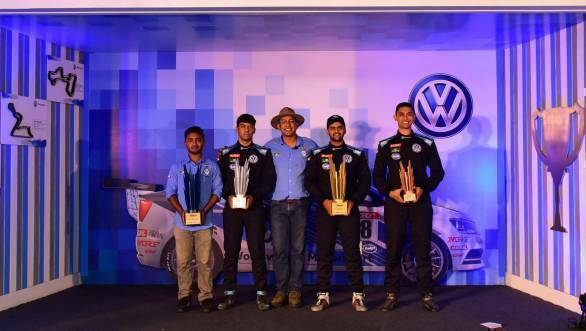 In the first race of the weekend, at the start of the race, Dhruv Mohite managed to get ahead of the rest of the pack, taking the lead of the race from pole-man Pratik Sonawane. However, later on the first lap, an incident between Mohite and Sonawane led to Mohite being pushed down the order. Guest driver Dhruv Behl ended up in the lead, followed by Sonawane and Saurav Bandyopadhyay. While the order at the head remained unchanged, further back Arefeen Raafi Ahmed had an incident that first resulted in a Safety Car situation, and later caused the race to be red-flagged. When the race was restarted, Shubhomoy Ball went off at the third corner, resulting in another Safety Car situation, that continued till the chequered flag fell. The race was won by Behl, with Sonawane second and Bandyopadhyay third. Jeet Jhabakh was on pole for the second race, with Mohite second on the grid and Anmol Singh third. On the second lap of the race, an incident between Akshay Bhivshet and Tauhid Anwar caused another Safety Car situation. While Jhabakh was first, followed by Mohite, there were battles continuing behind them for third place. Anmol and Affan Sadat Safwan ended fought hard, with Affan getting ahead on the fifth lap. Anmol ended up making a move for third place on the last lap, clinching the final podium position. 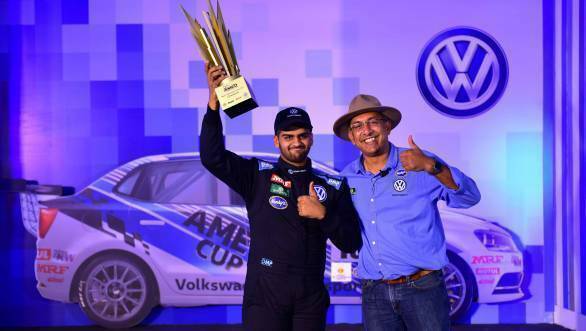 Mohite's second-place finish ensured that he had enough points to take home the 2018 Ameo Cup championship title, with Saurav Bandyopadhyay ending up runner-up. Jhabakh took third place overall. Shubhomoy Ball finished first in the Junior category of the championship.